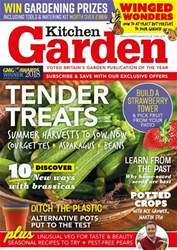 and veg – a great way to fill the store cupboard with nutritious goodies. Continuing the theme, top chef Anna Pettigrew has some super recipes and good advice as to how to store some of our most prolific treasures. 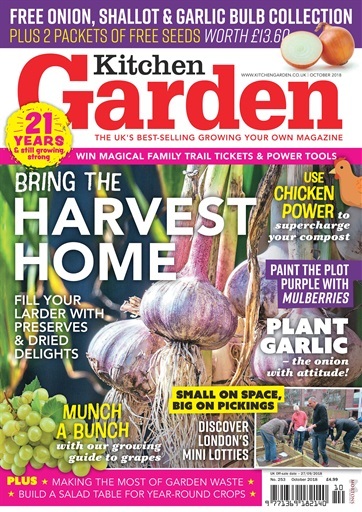 Deputy editor Emma Rawlings looks at bounty of a different type as she encourages us all to ditch our green waste bins and to compost as much garden refuse as we can, turning it instead into a rich soil conditioner. 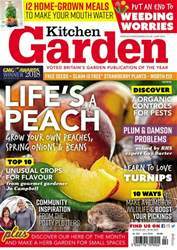 Grapes have a reputation for being difficult to grow, but with a few top tips from fruit specialist David Patch you’ll soon see how easy they can be. 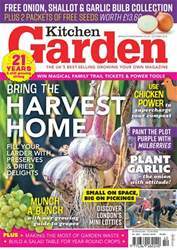 Plus veg expert Rob Smith reveals that there is more to garlic than you may have realised as he urges you to add giant elephant and pungent wild varieties to your growing repertoire. 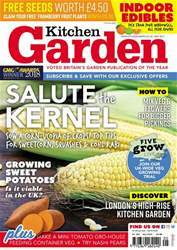 Below is a selection of articles in Kitchen Garden Magazine October 2018.